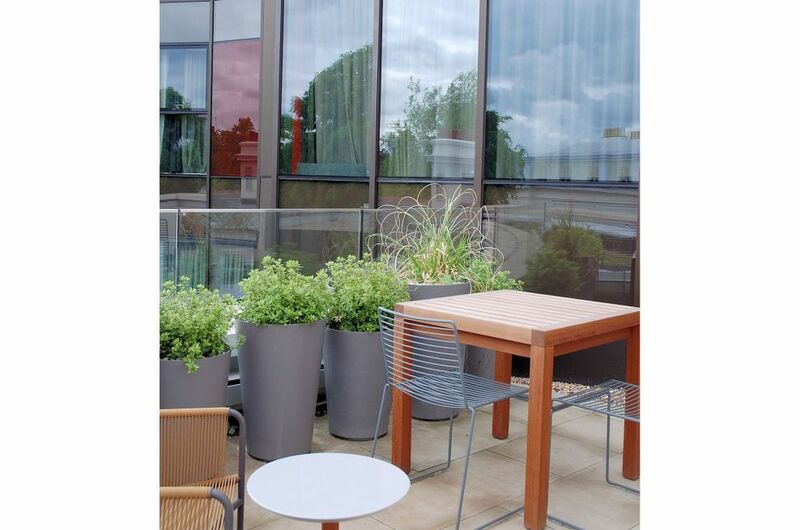 Custom-coloured Boulevard planters were used to green the internal courtyard which lies at the heart of the hotel. 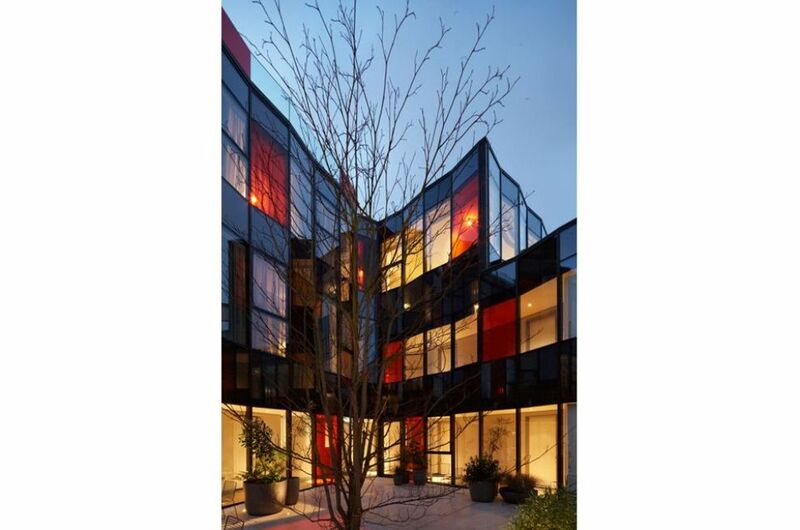 The planters’ sculptural forms, combined with a planting scheme of lush foliage, provide a softening and contrasting element juxtaposed with the strikingly modern courtyard walls of claret and clear glass panels. 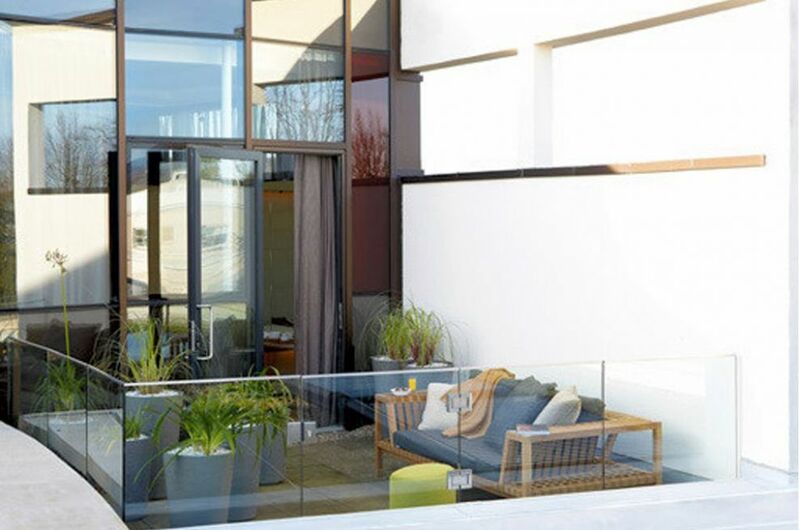 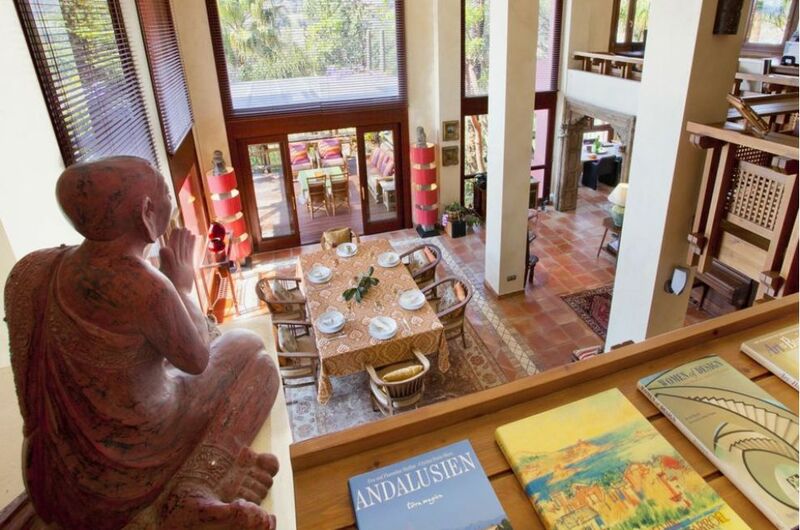 The resulting space is calm and inviting, perfect for outdoor dining and as a general relaxation area. 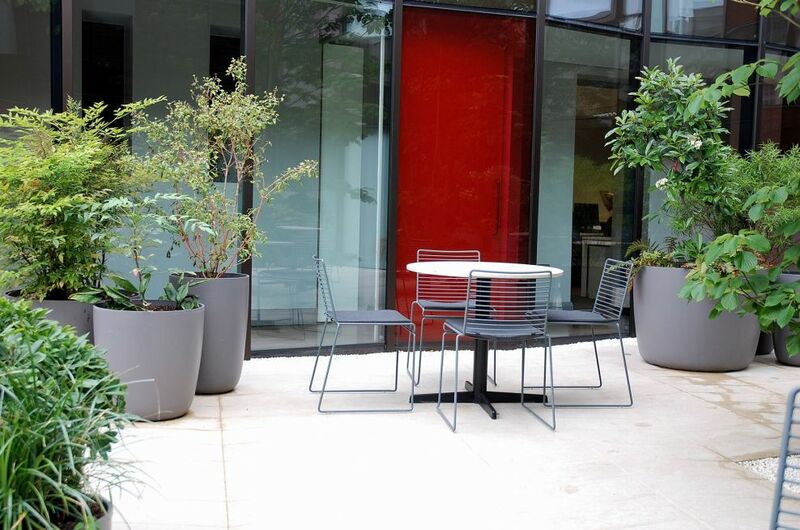 A total of 46 planters were used, from the designs ALTO, KYOTO, LAUSANNE, and GEISHA. 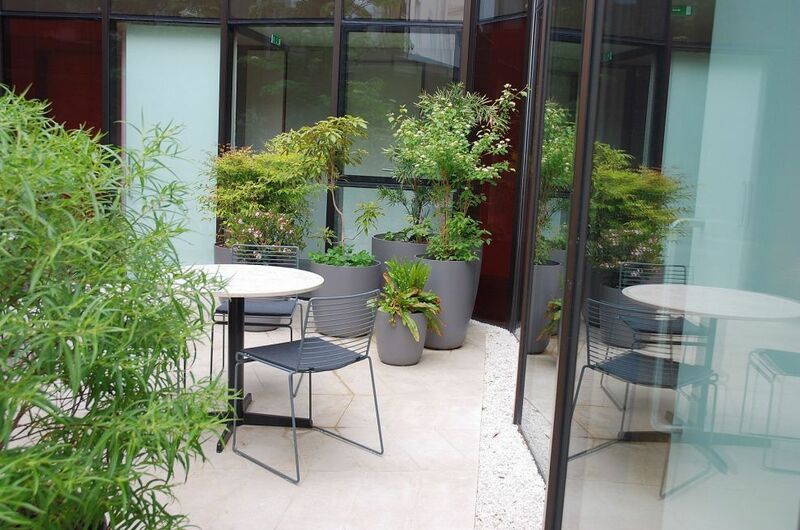 The garden pots are informally grouped, breaking up the courtyard space and creating a degree of privacy for diners. 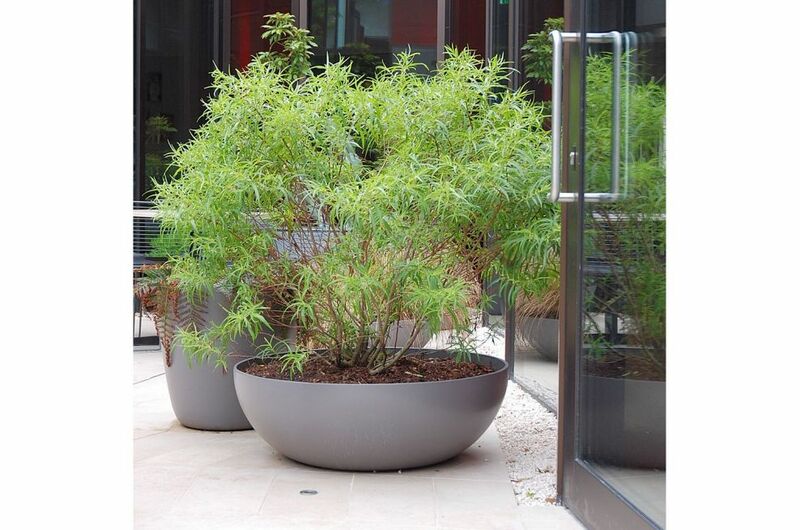 They are planted with a wide variety of grasses, ferns, acers and shrubs, creating a lush layering of textures and shades of green. 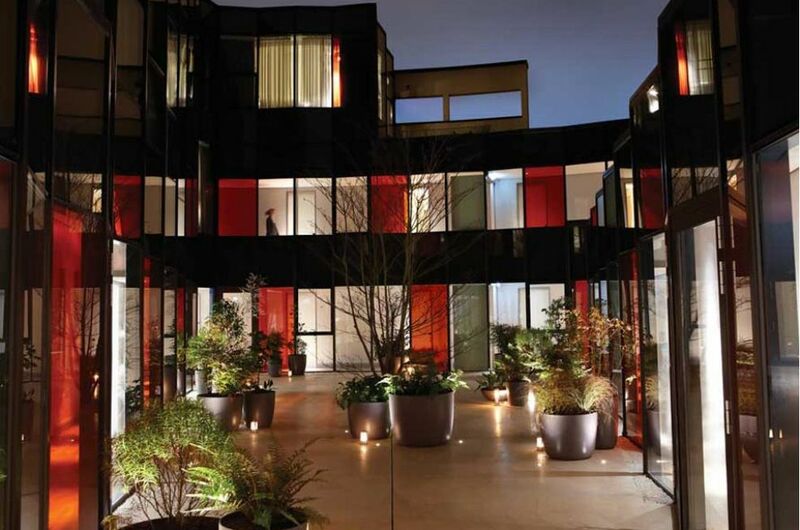 Many of the hotel's rooms overlook the courtyard, and thus also benefit from the general ambiance created; and a further set of Boulevard planters were also used in the private patio of The Penthouse Suite. 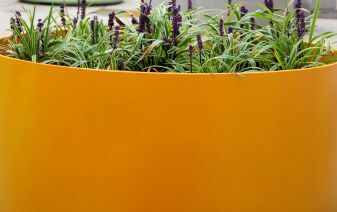 The planters were custom-coloured at no additional cost to match Dulux 50YR13/032, the colour selected by landscape architects Urquhart & Hunt who specified IOTA’s planters for this project. 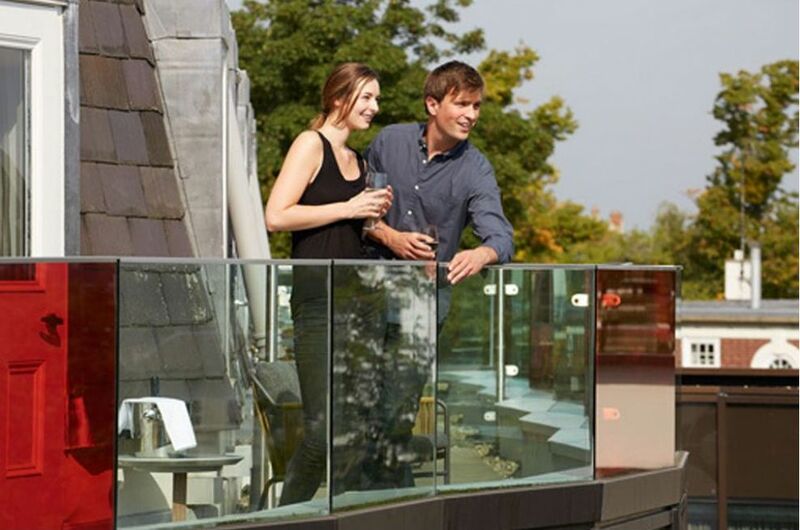 The principal architects with overall responsibility for the hotel’s refurbishment were Make Architects. 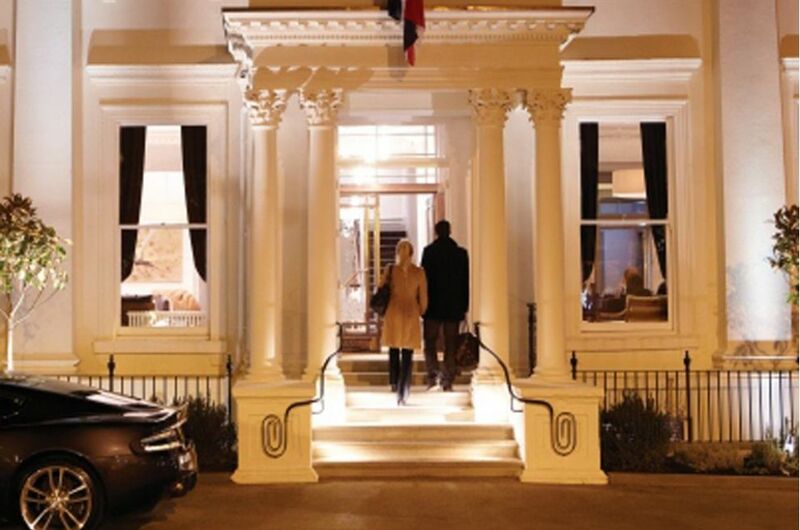 The Montpellier Chapter Hotel is located in a conservation area in the chic Montpellier district of Cheltenham, and has been beautifully refurbished to combine traditional standards of luxury with a distinctive contemporary British style. 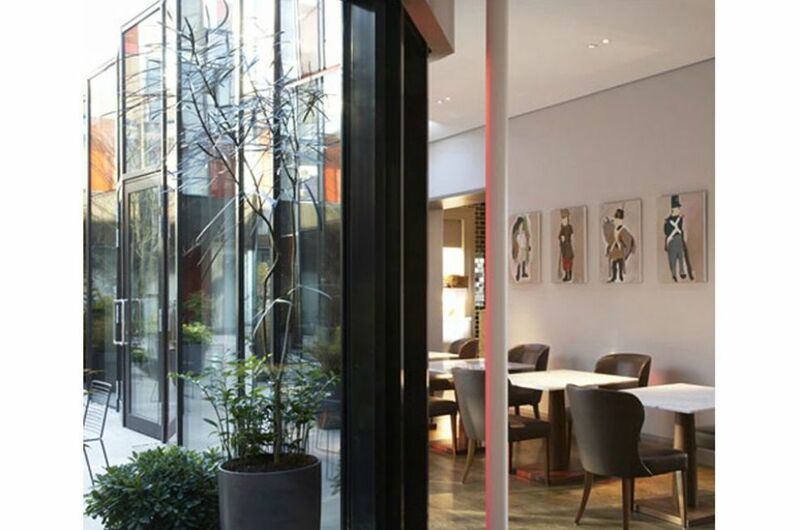 The Chapter Hotels brand was launched in 2010, and is owned by The Swire Group.